The author of Rauzat-us Safa tell us that Chenghiz Khan sent his youngest son Tulai to conquer Khurasan and in particular to devastate the great cities of Merv , Nishapur and Herat. All the inhabitants of these cities were slaughtered. The following year he sent an army of 80,000 to kill the whole population of Herat and Afghanistan. He ordered his men to spare no living creatures , not even cats and dogs. It appears that the ancestors of the Hazaras had been settled in this country during the thirteenth century by Chaghatai, Chenghiz Khan's son , or by Manku Khan, his grandson, especially in the lands of Ghor, whose inhabitants had been largely exterminated during the Mongol invasions. Juwaini reports that about 1259, "the children and grandchildren Chenghiz Khan are more than ten thousand , each of whom has his position (muqam) , territory (yurt) , army and equipment. The descendants of Chenghiz Khan and his officers dominated for a century and a half till Timur replaced them by his own set of officers. The Hazaras, therefore, were probably dependents or followers of Mongol warriors. It is more probable that they represented many of the tribes and races incorporated in the Mongol army. Abu Fazal also declares them to be the offspring of the Mongols. He says that "the Hazaras are the descendants of the Chaghatai army sent by Manku Khan (grandson of Chenghiz Khan) to the assistance of Halaku Khan" (brother of Manku Khan). The Mongol origin of Hazaras is said to be attested by their high cheekbones and sparse beard , which readily distinguishes them from Afghan (Pashtun) and Iranian neighbors. Furthermore the word Hazara is said to be the Persian equivalent of the Mongol word ming , meaning 'thousand', the term originally being used to refer to the Mongol military unit of 1,000. The Mongol regiments were also styled from the number of men they usually contained. The term was applied to these people in consequence of their having been left there as military colonists in detachments of a thousand fighting men each by Chengiz Khan. The descendants of Halaku, who exercised authority in Persia after him, were known as 'IlKhans'. 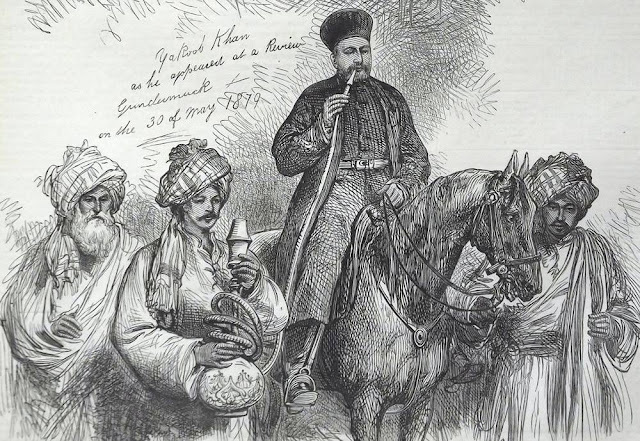 The last ruler of Ilkhanate dynasty was Abu Said (1316-34), and Malik Chopan was his premier officer who led his army into eastern Khurasan and settled there. 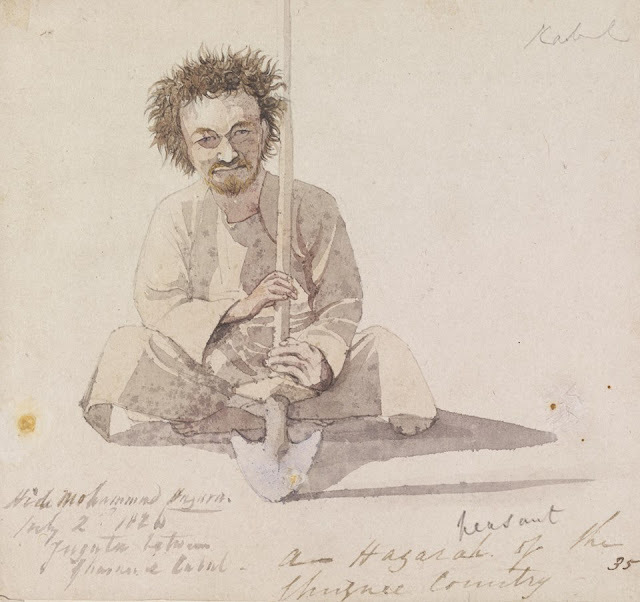 The Dai Chopan , a major Hazara tribe, was named after him. Following the fall of the Ilkhanates , shortly after the death of Abu Said (1334) , there was a power vacuum in Iran. In 1381 Timur overran the city of Herat , Khurasan and all eastern Persia and laid claim to the provinces of Qandahar , Garamshir and Kabul. Several other cities terrified by Timur's success, submitted to him. Timur, after a great slaughter also established his power over the Persian province of Mazendaran, with its capital at Astrabad , which was governed by a descendant of Shaikh Besud , an Ilkhan officer. 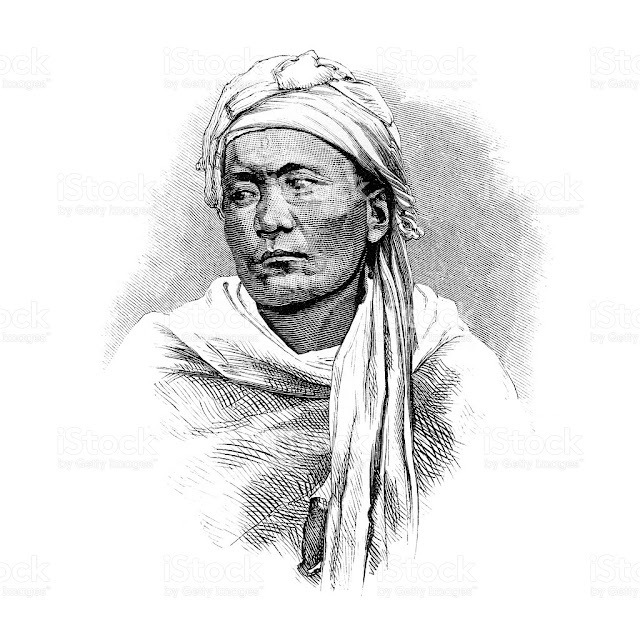 The Besudis , another major Hazara tribe , was named after him. Under his sons and successors , troops and officials were sent to the area , and it is probable that some of them remained thereafter the death of Besud's son, Shah Rukh in 1447. A group of Besuti Hazara chiefs with two boys, 1878. Some of the Hazaras wear pointed caps called hazaragi while others wear small turbans. Photo by John Burke.